Have you heard the wonderful news? Artistic, whimsical and distinctive! Susan K. Weckesser’s imaginative style is reflected in her new mini inkpads from ColorBox®. Susan’s collection are tailor-made for all her eccentric techniques with paper or canvas. I am really excited about this new ink line. I love how easy these inks are to drop into my purse with my journal when I want to craft on the go or use in my studio or anywhere. They are awesome for anything and the colours blend so nicely. Talking about colors...I adore the beautiful colors. They put a smile on my face. Good Luck & Thanks for being AMAZING!!!! These are so cute! Perfect for my needs! Love the lighter blue color! These are ADORABLE! My favorite color is the same as my birthstone....Green! Wow - How fun is that???? REALLY REALLY fun. So glad to hear this news Susan!! YEAH!!! And= hehhehehe - I love your names for the colors... MORE fun. I'm not sure my favorite. They are all really nice. The yellow intrigues me a bit!! So... just stopping to say CONGRATULATIONS! So happy to hear this news. Please don't consider me for the drawing - I feel like there are others that need these more than I do. Just sooo thrilled to see new product for you sweet girl!! Xj. WOW What an amazing accomplishment! Your own line of ink. Not just ink but beautiful ink. My favorite would have to be "ICE", but I love all of the colors. I am new to stamping and working with color. I've just always used black. But for the last two months. I've been working with color and shading. It is so fun to see what color mixes with what. I am enjoying the journey. These inks look like the answer to small storage space. I love the pale red colour and of course all of the other colours as well. 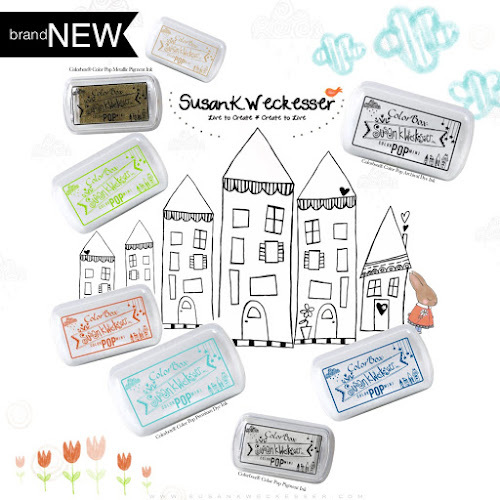 How cool is that, Susan, to have your own line of inks. Congrats to you. You rock. My favorite color is Ice. I would love to win because I have more stamps than ink colors. I love the Ice, but they are all great! I make cards to give with crocheted prayer shawls, and these colors look like they would make gorgeous cards! Thanks for the chance to wn! These are so fun! Love the mini size and the cute designs on the lids! Fresh is my favorite color, although I love them all! I'd love some new pads in these pretty colors to inspire me to make some fun cards and ATCs! Ice or Sky would be my favorites because I love adding blues to my summer page mats, embellishments and just clouds! Always adds so much to projects! Love your adorable set of colors and especially the gorgeous colors and that they are minis!! Great idea! My fave color is red, so I'd have to go with Kiss! that sky blue 👌🏻 gorgeous! I think it's terrific that you joined up with CLEARSNAP!! I love the name of your series, "Color Pops Minis," too! I'd love to win ANY of your inks - Premium Dye Ink, Archival Dye Ink, Color Pop Pigment Ink, or Color Pop Metallic Pigment Ink...I can use them all. I make cards and scrapbook, and repurpose anything I can! 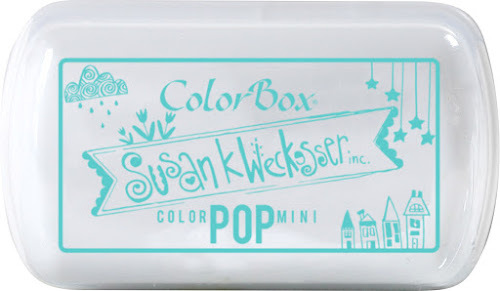 So, I'll be likely to use these small Color Pop Minis on lots of things, especially while traveling by car somewhere, while my hubby drives...I hate to waste craft time!! My fav color would have to be the pale blue, or is it aqua? I cannot find the names of your colors, but I actually love ALL of them! Thanks for offering such great products! Ice and Fresh are my favorites! These inks would be great to have for my cardmaking! Thanks! WHEN IS THE DEADLINE FOR THIS TERRIFIC GIVEAWAY CONTEST? I love the Fresh, since green is my favorite color, and I need some more color in my life so pick me please! Love the colour 'sky'. But they are all beautiful colours! Thanks for the chance to win some! Love the blue "Ice"! I'm relatively new to stamping, so I would love to try these new inks and see how well I do with them! Thanks for the chance to win them. Blue is my favorite color and I see two shades of blue. Both are so pretty and will make wonderful shading. If they come from Clearsnap I know they will be good. Ice, ice..baby! lol Hey, I must say that "Artistic, whimsical and distinctive" definitely defines YOU! Although you could also add, beautiful, awesome, and brilliant! Do I have to choose just 1? I love all the colours but if I must it would be ICE! Would love to win a set! I love all the colors but think Ice would be my favorite also. Congrats on your won line! These are great!! Totally colours I would use for my everyday stamping!! I love the navy/denim blue!! Thank you for the chance to win some! these are wonderful!!!! Ice is probably my favorite but they are all amazing!!! congrats on your own ink line!! Oh definitely the Ice is my favorite color! How exciting for you...love fresh...green is my go to color. I am probably too late to enter, had to help my brother clean for 3 long days! Anyway, I hear that ICE is nice, so will go with that! Ice is my favourite but they are all lovely. Ice would go with any other colour too so that's why. 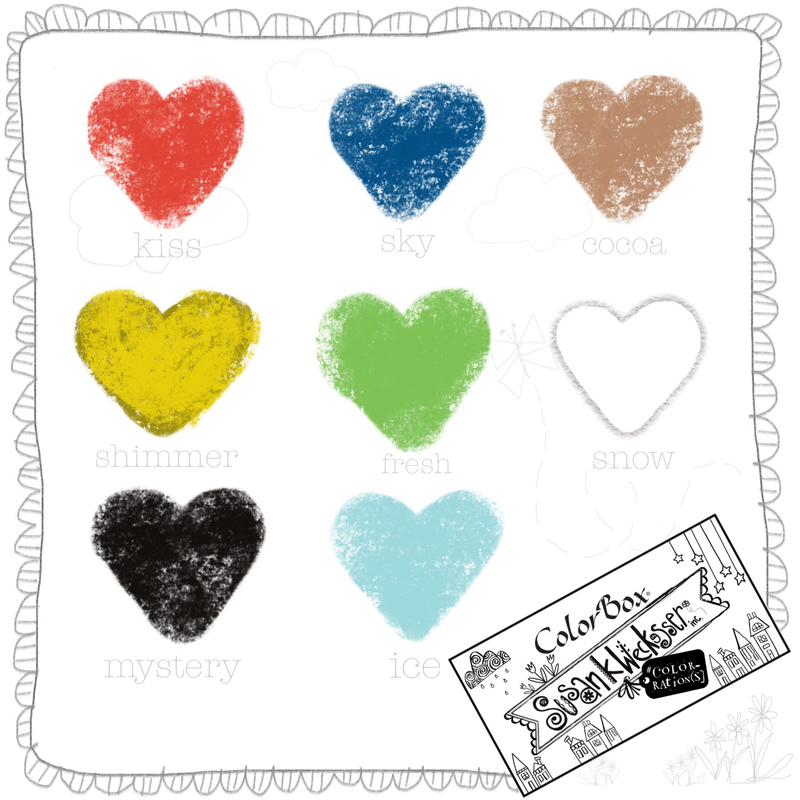 I am running short of colours so would be lovely to win. yey! All are gorgeou and spark the imagination. If forced to name a favorite, it would be the dark blue. I love them all but I love the bold dark blue the best. I could use them in my journal or on any project! Beautiful colors! It's An INKY Feast For the Senses!